Autism is a treatable condition that requires much patience, understanding and love". Dr. K. Ferraro! Functional medicine evaluations and management, including extensive history, physical examination and laboratory analysis. Mild hyperbaric oxygen therapy- to increase oxygen to areas of the brain and also help with intestinal health. Traditional body acupuncture and Scalp acupuncture. In scalp acupuncture, special needles are inserted in the scalp, over areas of the brain that are responsible for motor and sensory function, such as speech areas, auditory areas and executive functioning areas of the brain. We have all seen bumper stickers on cars as we are driving that read "Autism Awareness". As much as these puzzled ribbons bring autism to mind, we should really look at autism differently. Perhaps they should read "Autism Action." 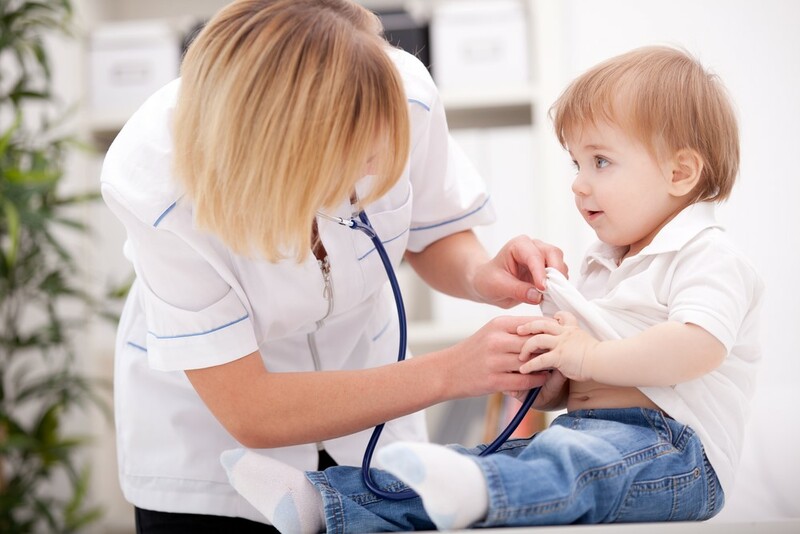 Many people blame the increased incidence of autism on better diagnosis. Despite this the statistics are quite concerning. The graph below from Autism Speaks demonstrates this well (Figure 1). 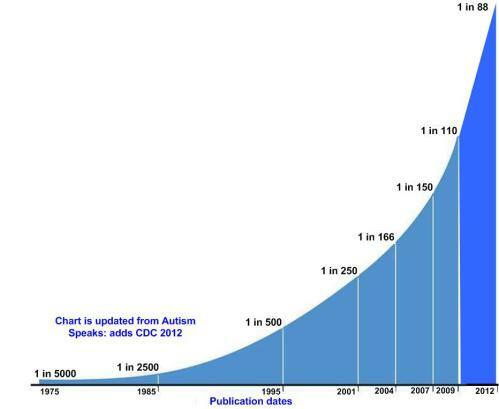 This graph, is frightening, because it shows a near exponential rise in the incidence of autism in our country. Following this graph, the current autism incidence of 1 in 59(CDC, ADDM data 2010-2014) children will likely rise even higher in the near future. What is the cause of autism? The answer to this is complex. There have been many correlations, including; an exponential rise in agrichemical use, heavy metals and electromagnetic frequency exposure(from devices like cell phones and other wireless technologies). All of these things have increased exponentially with the autism incidence. Sage advice, would be to limit exposure to these as much as possible, especially for the developing child. Despite the increases, not every child who has been exposed to these environmental triggers is diagnosed with autism. The best current explanation; we are all born with a certain genetic susceptibility to autism or other conditions. If we have a genetic risk for the condition and the correct set of environmental circumstances, autism can occur. The diagnosis of autism is just a name given to a symptom cluster, but the cause of autism symptoms can vary greatly. Symptoms of autism can be related to infections (causing a chronic inflammatory and immune processes),food intolerances- such as gluten and dairy sensitivity, methylation and detoxification issues and intrauterine events, in addition to others.